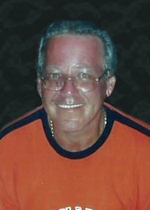 Robert Uhrig Obituary - Forest, Ontario | Gilpin Funeral Chapel Ltd.
Robert “Bob”John Uhrig of Grand Bend passed away peacefully in his 69th year with his family by his side on January 28th 2018 at Bluewater Health in Sarnia. Bob is survived by his daughter Jessica, son in law Travis and Jessica’s mother Carol Anne. Also survived by his Twin Brother Bill and Sisters Judy and Sandra along with nieces Jodi, Keri and nephew Dave. Bob is preceded in death by his son Andrew. Bob was in the grocery business most of his life. His last venture before retirement was as the owner of the Sobey’s Grocery Store in Grand Bend. Bob enjoyed the warm summer months in the Bend, playing cards with friends and the beautiful sunsets over Lake Huron. A celebration of life will be held at a later date. The family would like to thank the Palliative care unit at Bluewater Health in Sarnia. Donations can be made in memory of Bob to the Canadian Cancer Society.